A range of innovative technologies for consumable dispensing, mobile device management and inventory replenishment will be showcased by Apex Supply Chain Technologies at the PPMA Show at the National Exhibition Centre in Birmingham from 26-28 September 2017. Apex (stand C62) has become a proven and trusted partner to some of the largest global manufacturers through its solutions' ability to add value to operations: from increasing productivity and efficiencies to driving out waste and cost from operational processes. The PPMA Show will be an opportunity for visitors to experience first-hand its latest portfolio of solutions for a variety of critical applications. The Edge™ 5000 single-item dispensing system, the MegaStore™ 9500 high-density dispensing system, and the Axcess™ 6518 self-service automated locker system will all be on display at stand C62. These Apex devices can manage virtually all consumable items used in a manufacturing or processing facility, such as PPE, tools and maintenance products. A bespoke solution from Apex ensures stock levels are maintained and that production-critical equipment is always available when needed, reducing supply costs by up to 30 per cent. Visitors can also find out more about the Actylus™ smart bin system which is deployed across a range of industrial sectors for the automated replenishment of components and other direct materials that are used in production assembly. Integrated sensors automatically track the weight of remaining stock and advise in real time of the need for replenishment, ensuring stock levels are maintained and production downtime is averted - making Actylus an ideal fit with VMI and Kanban operations. 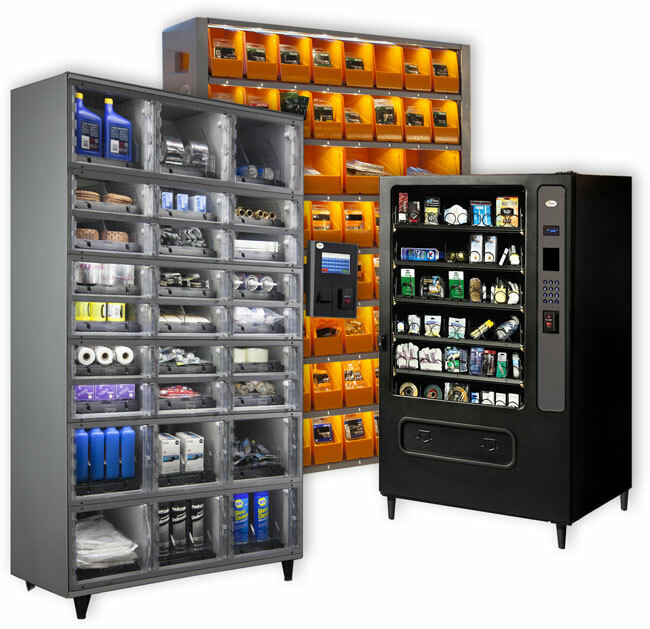 For facilities using high-value, mission-critical items such as handheld scanners, calibrated tools and reusable PPE, the Axcess range of self-service automated locker systems is an ideal solution. With the Apex Trajectory Cloud™ software platform, complete visibility of who has taken and returned which items, and when is available to management 24/7. This ensures vital assets are always available and ready for use, when and where needed. Julian Adams, Managing Director of Apex Supply Chain Technologies, commented: "PPMA attendees are looking for the latest innovations they can use to improve their operational effectiveness and reduce expenditures. We anticipate strong interest in our solutions as they are proven to optimise traceability and visibility of usage and drive down operational costs resulting from the unavailability of vital items - whether these be production materials, consumables or higher-value equipment."